The Genge rapper was born James Wathigo, and Jimw@t is brought out from the two names. He was brought up in Kabete and went to Musa Gitau Primary and Chinga High School, Nyeri. After his O levels he took a computer course and later studied graphic design. He started rapping while he was in class 7. While still in high school, he went to Calif Records and recorded his first song “Sema nami sweetie”, while he was in form 4 but did not release it until he completed his O’ levels. On clearing high school, he released it and he was shocked to hear it on Capital FM a few days after its release; later, other stations followed suit. The same year, he was featured by Rhaptaz, (a group comprising of Gabu of P-Unit) in “Paulina” which became a club hit and was used in the Close-up ‘dance-o-mania’ competition. He also did videos for the songs that same year. Later on, he was featured in the song “Adila” by Pararo and Riziki. He was also featured in Juacali’s ”Kwa album yangu” and ”wanakimbia” songs which are in “Juacalisekta”, the mini album. He then went on to pursue a solo career. In the same year, he released a hugely popular song, “UNDER 18” in which he featured Meg C. The song no doubt catapulted him to the top of charts and built a name for him in the music industry. 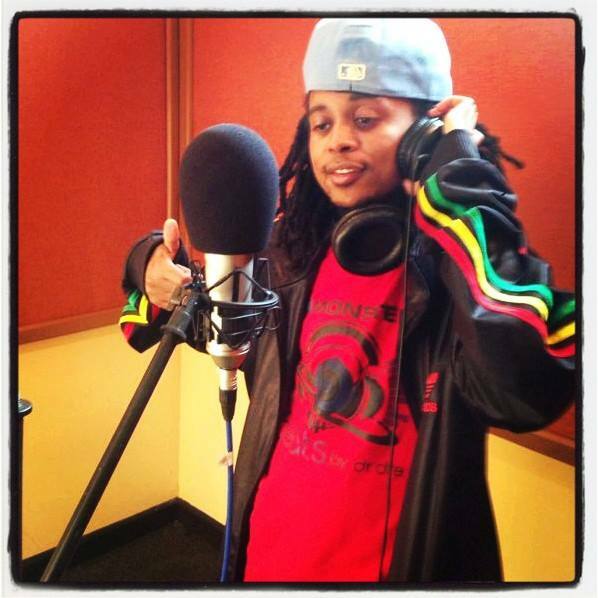 It also scooped an award in the 2006 Chaguo la teenies, “Favourite new artist” and was nominated for several awards in the Kisima awards. Other songs he has worked on are Mpaka che with Pilipili, Tunakatika with Wambo-E, Chakula kinyaji with Jua Cali which was featured in Juacali’s album Ngeli ya Genge and his current single “Sitoi kitu kidogo” which addresse the issue of corruption Kenya and was included in the National Anti-Corruption Steering Campaign in 2008/09. In 2009, He was involved in a UN peace campaign where he collaborated in a peace song with artists Juacali, Mejja, Nyota Ndogo, Mr Lenny among other top artists in Kenya. He also worked on an anti-corruption song, “Simama” with top Kenya artists. He later released a mellow jam, "Fall in Love". Other singles to be out soon are “Kuzitoka”..,“Kuna vile”, “Nakuimbia”-a collabo with Bongo artist Z-anto, “Bila bob” feat Allahola n many other new tracks featuring lablemates Mejja and Juacali. All these new tracks plus his previous songs will be featured in his album titled, 'Genge nijenge!' He recently did a short tour to Germany, Finland and Sweden and is scheduled to do a full tour sometime soon due to public demand. Thanks to all his loyal fans for the support and love. Keep on keepin' on, God Bless!